if you wish to make an order, or learn about our prices,please do not hesitate to contact with our company. we will be glad to inform you about our products. DELIVERY DIRECTLY AT YOUR HOUSE,IN ANY CITY OR COUNTRY! Beeswax is useful in countless applications, although it has no moisturizing properties by itself. But when it is combined with olive oil, it creates the famous salves, which is the purest and most beneficial moisturizing cream, you could treat your skin with. Salves can be used for simple hydration and skin care, but also for chapped lips and rashes ulcers, burns and infections. 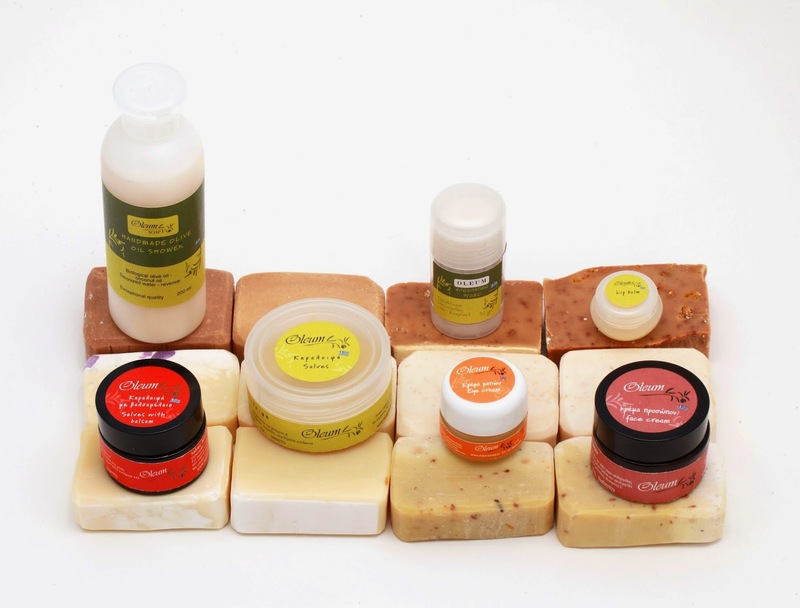 It has antiseptic, anti-inflammatory, antifungal, soothing, healing, and moisturizing properties. Since the ancient times, St. John's Wort is known as the best way to treat skin problems effectively , wound healing and strengthening the immune system. 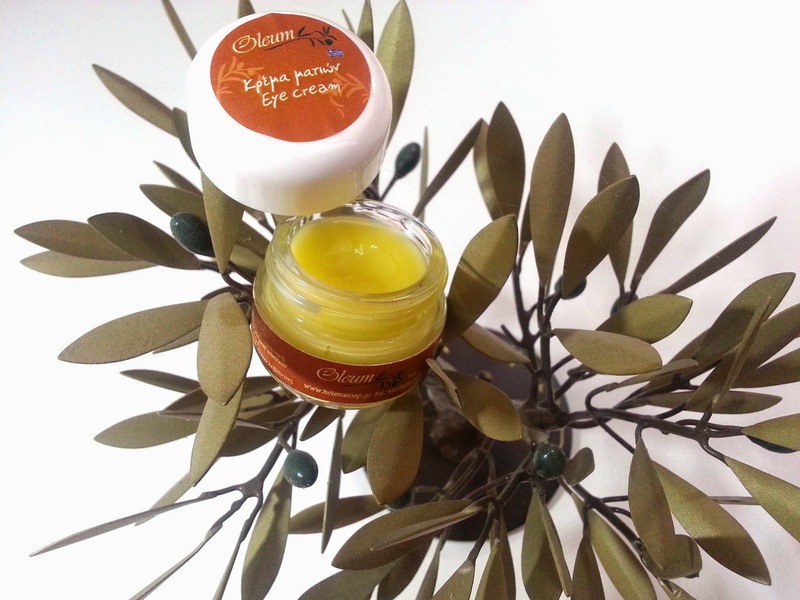 Eye cream with olive oil.Anti-ageing, firming, antioxidant, diminish dark circle naturally. Natural Make-Up Remover with Aloe and chamomile extract from Oleum. Aloe Vera is known for its healing abilities, it keeps soft skin as it moisturizes, it boosts collagen production and enhances its natural defense. It is considered an effective therapy for acne treatment and it slows skin aging while the infusate and the chamomile essential oil are traditionally used for the relief of irritated skin and soothing the eye area. 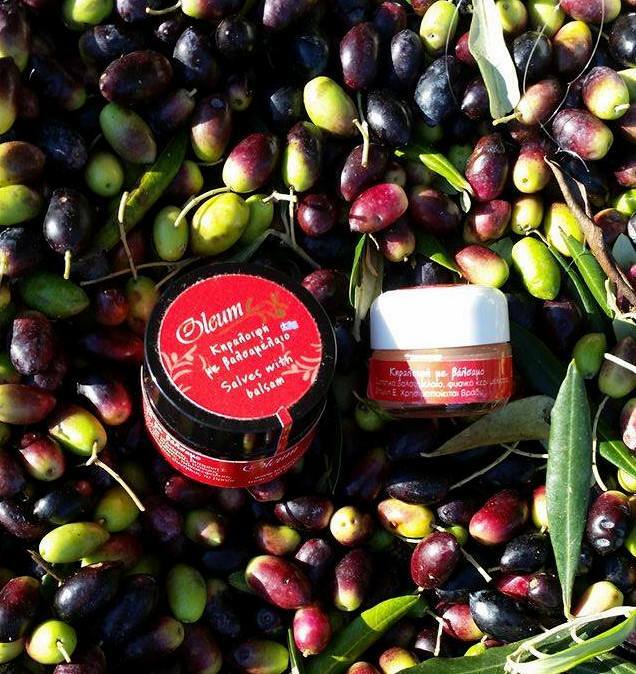 Ancient Greeks used to suffuse their body and hair with olive oil, in order to make them look clean, soft and shiny. 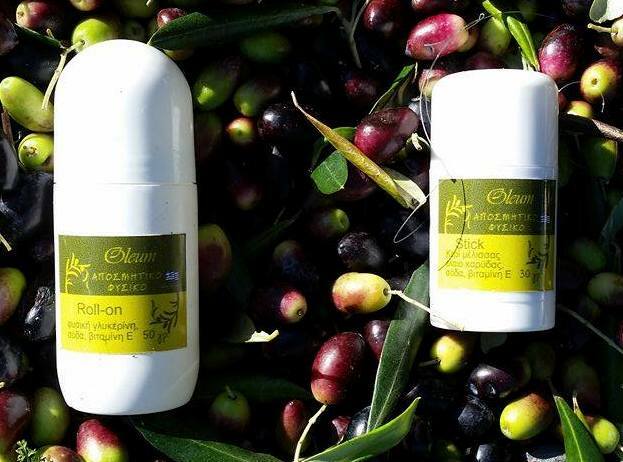 Olive oil is rich in antioxidants (Bitamin Ε and Κ),and minerals. It nourishes, reconstructs and moisturizes. A hot bath with milk and honey is an easy and quick way for the body to rejuvenate, and relax your mind after a hard day. Cleopatra, the most beautiful woman in Egypt, used milk and honey as a beauty mask. The lactose contained in milk dissolves the dead cells and the milk softens the skin. CHAMOMILE: Chamomile , (Marticaria Chamemilla) took its name from its scent . Chamomile has significantly positive effects to our body and it helps against various diseases . We use chamomile as the basic ingredient and we recommend it as a basis for a clean and soft skin even for the most sensitive ones. Orange helps our skin stay fresh and young. It firms loose skin , promotes brain function and fights against acne, offering a gentle exfoliation for sensitive skin. It also improves blood circulation to the skin reducing dryness and positively affects the look of the skin. Cinnamon preserves the natural glow of skin and it prevents wrinkles formation .The combination of orange, which takes precedence over the vitamin C, with the antibacterial , anti-aging and antiseptic properties of cinnamon , give excellent results. Stretches and moisturizes our skin, leaving it soft and smooth. 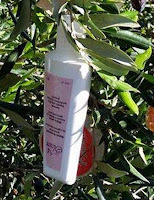 It provides protection against free radicals and intoxidation .It cleans the skin and balances the skin oils. It has anti-aging effects. Energizes, nourishes the cells and stimulates the process of cell division. It contains iodine which rejuvenates the skin, as the combination with sea salt and essential oils, helps in tightening the skin.